Community Prevention Resources of Warren County, Inc. (CPRWC) is a non-profit agency in Washington, NJ, dedicated to building a safe, healthy, drug-free Warren County. Our educational services promote the wellness and safety of individuals and families of our community. We serve the community by offering a comprehensive selection of the most current educational programs and an extensive information resource center, offering a variety of free materials that address issues of substance abuse (ATOD), internet safety, bullying, mental health, driving safety, general health and other current topics. We are an affiliate of the New Jersey Prevention Network (www.njpn.org) whose primary mission is to decrease substance abuse in the state by developing and implementing effective prevention programs. Our dedicated and professional staff is here to serve you with the highest level of integrity. 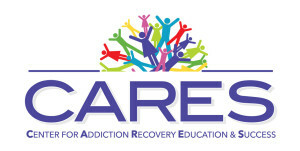 The Center for Addiction Recovery, Education & Success works to engage and organize the recovery community by helping individuals find, maintain, and enhance their recovery experience through peer support, educational and volunteer opportunities and sober recreation, as well as working to reduce stigma associated with substance abuse through advocacy, education and service. • Leadership emerges naturally within the community, and positive leadership should be fostered and supported. Community Action Partnership (CAP) is a group of community members committed to building a safe, healthy, and drug-free community by preventing and reducing substance abuse among youth. New CAP volunteers are welcome! Contact Johnathan Asayag, Drug-Free Communities Project Coordinator, at 908-835-1800 ext. 12 or email his at jonathan@cprwc.com to join the CAP Coalition!